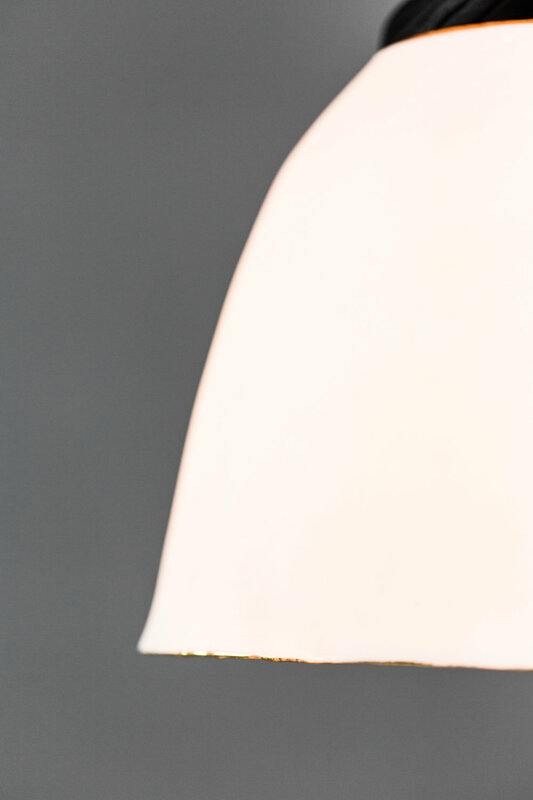 The Abalon light evolved from the crest-rail of the Meraki Rocker. 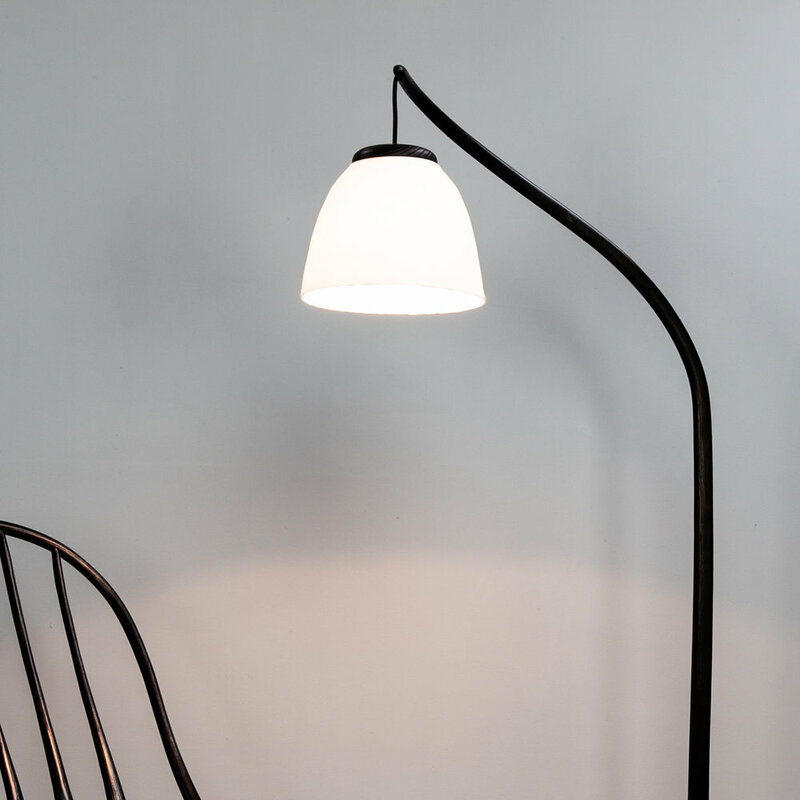 The double bend lends itself beautifully to the shape of the Abalon shade. 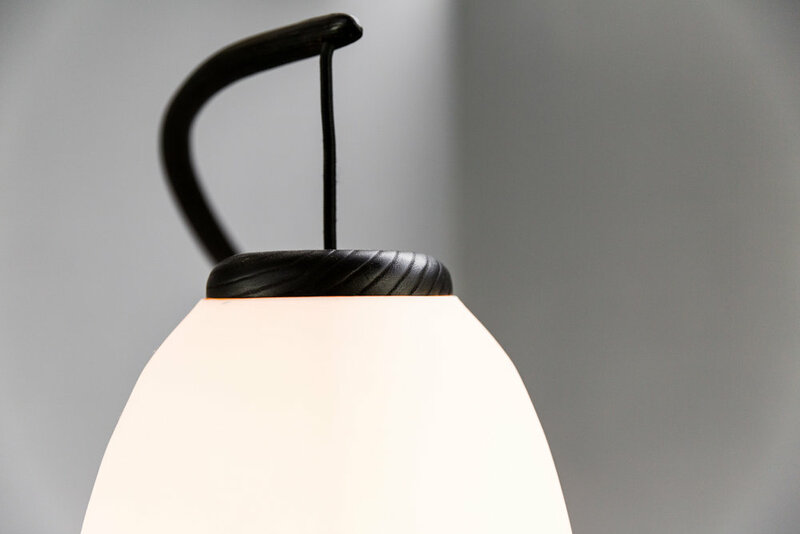 Charred steam bent Ash, porcelain shade with its 22kt Gold rim.